Summer flights across the Highlands and Islands face being grounded after air traffic controllers yesterday voted to implement strike action. 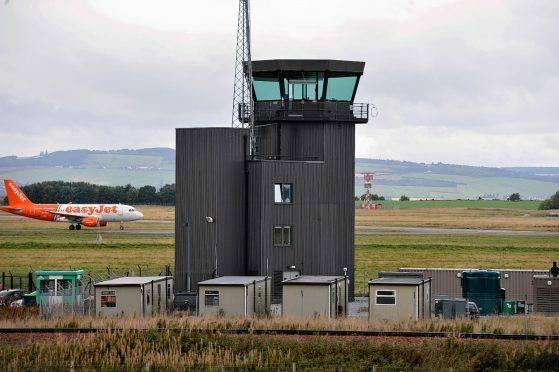 A ballot was held for members of the Prospect union, with 88% of the 42 voters wishing to implement industrial action across the seven Highlands and Islands Airports (HIAL) operated control towers. Last year, Prospect members rejected a 2% pay rise offered to breach the gap in pay which the unions says HIAL air traffic controllers face against other airport operators across the UK. They instead insisted on a 10% rise to level the board. David Avery, the Prospect negotiations officer, said: “There is an international shortage of air traffic controllers. Despite the threat of industrial action, Prospect confirmed measures are in place to ensure emergency flights are still in operation to ensure services such as the air ambulance or Coastguard search and rescue helicopter remain able to take off. HIAL managing director Inglis Lyon, said: “We are disappointed Air Traffic Control colleagues have chosen to take industrial action that is likely to have a significant impact on passengers and the communities we serve in the Highlands and Islands. “As a government-sponsored agency, HIAL must follow the Scottish Government pay policy. We cannot implement pay awards more than that directed by government. The affected airports include Inverness, Dundee, Sumburgh, Kirkwall, Stornoway, Benbecula and Wick. Highlands and Islands regional MSP Rhoda Grant said: “This is a very concerning development which directly affects lifeline services.